Notes: An explanation of the meaning of “성” in 정성 can be found in Lesson 135. = Santiago sat/squatted in-front of the store and pulled a book out of his bag. 제가 그 꽃의 향기를 맡아도 돼요? = Can I smell those flowers? 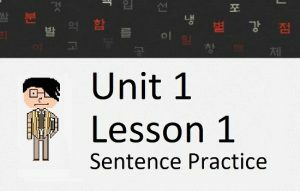 In this lesson, you will learn how to apply ~아/어(서) to sentences. Explaining this concept is probably the most difficult of all grammatical forms, simply because the meaning is so subtle. Nonetheless, this concept is very common, and needs to be explained. Let’s get started. In the above examples, aside from the fact that the first action and the second action occurred one after another, there is no direct relationship between the two actions. When you use ~아/어(서), however, there is more likely to be an intrinsic relationship between the two clauses. That is – not only did the second action happen after the first action, but the second action happened because the first action allowed it to. In its simplest form, this is why (as you learned in Lesson 17) ~아/어(서) is often added to 가다 and 오다. The second action of the clause occurred only after/because the first clause allowed it to happen. “원하는 일이 있다면 많은 사람들을 만나 관계를 형성하고 멘토를 찾으세요. 또 다른 기회가 열릴 겁니다.” = If you have something (a job) that you want to do, meet lots of people, and develop relationships, and search for a mentor. Another opportunity will be open. In all of the cases above, ~고 can replace ~아/어(서). As I mentioned, you are more likely to find ~아/어(서) being used if you feel there is an intrinsic connection between the two clauses. Want to see how ~아/어(서) would be used in a Korean street sign? Watch me breakdown the usage in a YouTube video. At this point, I would like to introduce you to a usage of ~아/어서 that you haven’t learned about yet. Below are many other examples. Notice how the first action is the method in which the second action occurs through. What’s going on? I thought you said that the “서” was not optional? If it has to be included, why has it been omitted from the examples above? There is a lot of overlap between the usages of ~아/어서 and ~아/어(서). The first one (where 서 is not optional) is used to indicate a method in which an action occurred. The second one (where 서 is optional) is used to indicate a direct temporal relationship. Did the police meet/gather together and then find the missing person? The answer: The specific meaning is up to the speaker to make clear or for the listener to interpret. It may be unclear in the situation, or the context might be able to indicate the specific meaning. Either way, the result is usually the same. Now that we know all of that, let’s look at specific ways ~아/어(서) is often used. You will often see two words combined with ~아/어 to combine their meanings. This compound word (or whatever you want to call it) can then be used anywhere in a sentence that a normal verb could be used. 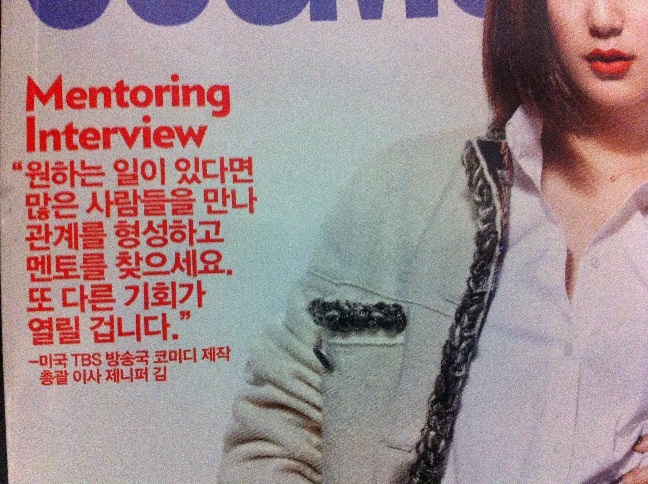 When used like this, “서” is not attached to ~아/어. You first learned about these types of words in Lesson 15 with words like 들어가다 and 들어오다. 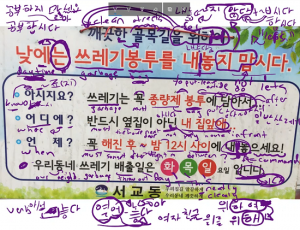 However, in that lesson I wasn’t able to discuss how the words (like 들다 and 가다) are connected via ~아/어. Sometimes you will notice two verbs connected with ~아/어 with a space between the first and second verb. You don’t really need to distinguish between the two, but when there is a space it means that you are looking at two separate verbs that are being connected by ~아/어 to combine their meanings. If you do not see the space, you are looking at one word. Again, you don’t really need to worry about this, because Korean people often don’t know when to use the space or not. Nonetheless, here are some examples of two separate verbs being combined by ~아/어. 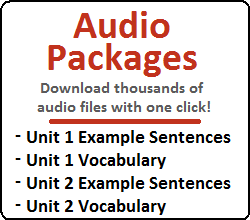 Technically, these are not seen as standalone verbs and are therefore not included in any vocabulary lists. Before we finish, there are two specific words that often get connected to ~아/어(서), which I want to talk about. The word “통하다” has many meanings depending on the situation. Most of these meanings somehow relate to two things being connected, and there being a passageway or flow between those two things. When I first studied the meanings of 통하다, I always envisioned some sort of tube connecting the objects in question. Although kind of ridiculous, I always found it helpful to think about it like this. 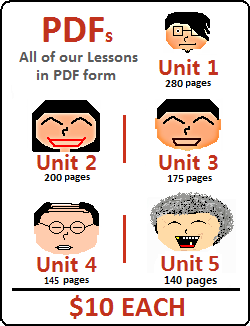 Okay… so why am I introducing 통하다 in this lesson? 통하다 has some usages where it is common to see it being used attached with ~아/어(서) to form 통해(서). In these cases, 통하다 usually translates to “through.” The following are some of these usages. Let’s move on and talk about another word that is commonly used with ~아/어(서). 왜 이렇게 서둘러요? = Why are you rushing like this? The usage of ~아/어(서) in Korean sentences is very ambiguous and takes a long time to fully grasp. With many Korean grammatical principles, the best/only way to completely understand a grammatical principle is to be exposed to it enough. The goal of this lesson was to explain ~아/어(서) so that when you are exposed to it, you will be able to extrapolate its meaning. After continuous exposure, your understanding of ~아/어(서) will become more and more natural.